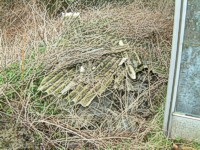 Materials containing asbestos were used in the construction of domestic dwellings until approximately 1999. As well as being present in obvious forms, such as corrugated roofing sheets and garage ceilings, it is also found in a wide variety of materials including roofing underfelt, plastic floor tiles and textured ceiling finishes, such as “artex”. Whilst there is not known to be a health risk if such materials are left undisturbed, any work to them (for example drilling, sawing or removal) can release asbestos fibres which represents a health hazard. Such a fibre release can occur when works of repair or refurbishment are undertaken including alterations to the plumbing and wiring within a property. It is, therefore, important that you are aware where potential asbestos based materials are located within a dwelling in order that they can be managed appropriately. 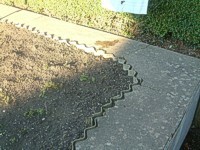 If any such materials are to be removed then specialist advice should be obtained. They should be disposed of in accordance with all current regulations. Since the 21st May 2004 there has been a legal responsibility under the Control of Asbestos at Work Regulations which requires those in control of commercial premises to identify and manage asbestos within the workplace. Premises which fall under this legislation include any area where the public or employees have access. Communal areas of blocks of flats are also included. Persons in control of premises include employers, owners and those responsible for the maintenance of the building (including landlords of blocks of flats or their agents). Our sister company, Abercorn Environmental Ltd, is able to undertake all forms of survey to identify the presence of asbestos, its condition and potential for harm. We will assess the risk and make recommendations enabling the duty holder to take the appropriate course of action for each situation identified. 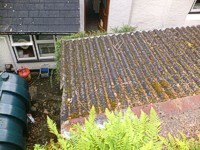 All our surveyors are experienced asbestos professionals and hold the statutory, P402 qualification.